Lancaster & District Chamber of Commerce, Trade & Industry is a not for profit organisation run for its Members and by its members. Lancaster & District Chamber of Commerce has a Board of Non-Executive Directors who are elected by the Membership at an Annual General Meeting. They represent different sectors of the membership base and bring varying skills and qualities, they are responsible for the strategic direction of the Chamber. The Board or Management Team (a sub group of the Board) meet on monthly basis to review the activities and strategy to ensure we meet those objectives and communicate the opinions and views of the membership and that these views are represented at a local, regional or national levels. 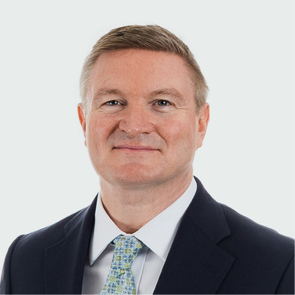 CEO of Seatruck Ferries Ltd, Alistair moved to the area in 1991 after studying Transport Management and Planning at the University of Loughborough. 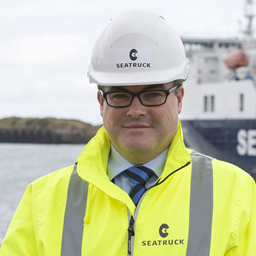 In 1996 as part of a small team a small team Alistair helped set up Seatruck Ferries a freight only ferry company with its head office in Heysham. Seatruck specialise in the shipment of unaccompanied freight trailers and has grown from a new entrant to a significant player on the Irish Sea moving in excess of 360,000 freight units per annum on 2 routes from Heysham and 1 from Liverpool. Seatruck move around 20% of the total roll on roll off freight traffic to Ireland and continue to grow. With 12 freight ferries, including 8 newbuilding’s, Seatruck is also active in the external charter market offering vessels on hire to other ferry operators in Northern Europe. Seatruck is 100% owned by the Clipper Group based in Denmark. Mal is Managing Director and Owner of Apparatus Ltd a full-service Brand Building Creative Agency based in Bolton-le-Sands. Before moving to Lancaster Mal worked in London on some of the world’s leading brands including BP, John Lewis, Selfridges, Marks & Spencer and Waitrose. Now he continues to work with large national brands alongside local SMEs. Since making the strategic decision to move the agency from London to Lancaster 13 years ago, Mal has applied his big brand expertise to many smaller North West businesses helping them to grow. Apparatus has been an active chamber member since arriving in Lancaster and during its time here, the agency has supported numerous campaigns for the district including local charities; local tourism; retail and education. 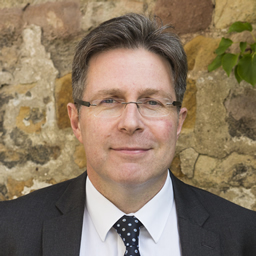 David is a Commercial Solicitor and Partner at Oglethorpe, Sturton & Gillibrand and has been proactively involved with Lancaster & District Chamber of Commerce for many years. 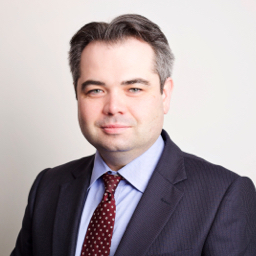 He has been advising small and medium sized enterprises on all manner of legal issues for over 15 years. He regularly provides seminars to clients and to Chamber Members, on employment law and general commercial law matters. David's family have owned and run a business within the district for over 50 years and he is keen to promote success for businesses for the benefit of us all. David is also Lancaster & District Chamber of Commerce's company secretary. Michael A Harrison is one of Lancaster's leading architectural practices and a specialist in Building Conservation and Historic Buildings projects for both private and corporate clients. With over 30 years' experience in architectural design and associated services gained as a partner in a large local practice and as a sole practitioner, Michael has built a sound reputation both in the Lancaster City Council area and across the North West of England. He is a member of the Royal Institute of British Architects (RIBA) and in 2007 received two Lancaster Design Awards for his work on one public and one private local historic building. Vivien is a bilingual consultant for firms ranging across many different sectors of commerce and industry and provides hands-on support to help her clients trade successfully with companies in Europe. She represents her clients and the district at international trade fairs and business meetings in Germany, Italy, Switzerland and the Netherlands. Currently working with Chamber Member Checkpoint of Carnforth, in her role as consultant and export manager. Vivien’s main objective is to forge long-term profitable business relationships between UK companies and German partners and clients. With Vivien's strong connections with UKTI it is hoped Lancaster & District Chamber of Commerce's International Trade services will continue to grow, in short, Vivien can offer the Board of Lancaster & District Chamber of Commerce, North Lancashire an international perspective on trade development. 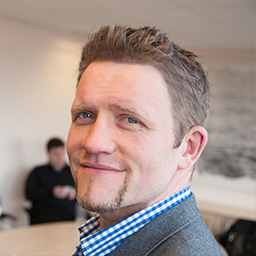 In his role as Enterprise Team Manager at Lancaster University Jon is the resident expert in enterprise education, business start-up support and business mentoring. Jon leads a dedicated team to provide entrepreneurship and employability experience opportunities across campus. 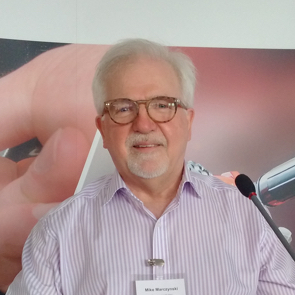 In addition he is a founding director of Employer Solutions Limited, Lancaster based employee relations experts and also sits on the board of Enterprise Educators UK, a membership organisations for Universities and Colleges to develop enterprise educators. An excellent networker, and resourceful, proactive and strategic leader, Jon is the Lancaster University representative on Lancaster & District Chamber of Commerce board. Brendan owns ICU Security Services based in Morecambe and has a keen interest in ensuring Morecambe holds a better future for the next generation. He is the treasurer for Go Morecambe community Interest Company, Homestart Morecambe and Lancaster, Morecambe Heritage, and Morecambe Carnival. He is Chair of the Morecambe BID Steering Group and would love to see Morecambe become the seaside resort it deserves to be and he believes a successful 'yes' vote for the BID will go a long way in helping this. As a member of the Morecambe Pubwatch he has an excellent working relationship with the local Police Officers and licensees. In May 2015 Brendan was elected as a Town Councillor for Morecambe and a City Councillor for Lancaster. Brendan joins Lancaster & District Chamber of Commerce Board as the Lancaster City Council representative. 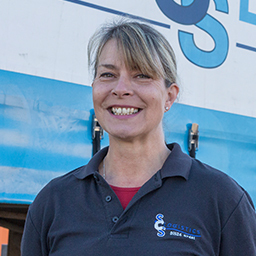 Sandra is the Managing Director and Owner of SCS Logistics Limited based in Morecambe. She is passionate about logistics and haulage and its relevance in the country’s economy. Their ethos has always been continued investment, continued improvement. Sandra has almost doubled turnover and the number of staff since founding SCS Logistics in 2011. 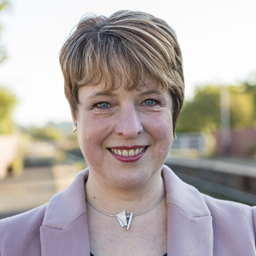 She likes being a member of Lancaster & District Chamber of Commerce and appreciates Lancaster & District Chamber of Commerce ethos of local support and looks forward to becoming more involved. Meeting great people, worthwhile connections and enjoying fab food! Born and bred in Preesall to a farming/business family, Sandra has always been passionate about supporting the local community and being involved with worthwhile institutions. The words ‘you can’t expect anything unless you are prepared to give’ are well used by Sandra and her family. She thinks our local business community can only go from strength to strength and after Storm Desmond, Sandra thinks we should be very proud of ourselves. Chris is a Director of Waters and Atkinson Chartered Accountants based in Morecambe who qualified as a chartered accountant in 2009 after joining the firm following completion of his master’s degree. He has a wide-ranging role and meets with clients to discuss many different issues. 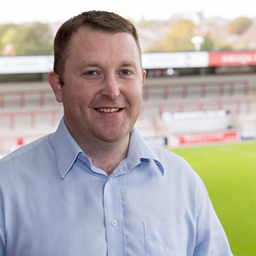 Chris takes great pride from working closely with his clients and assists many people who are new to self-employment. He forms part of the firm’s tax planning team and is also available to work with businesses to develop cash flow forecasts and business plans. Chris was born in Lancaster in 1981 and, with the exception of his time at university in Wales, he has always lived in the area. He has excellent links with local professionals and institutions and is a regular at the Chamber’s many events. Mike is Managing Director and creator of The Checkpoint® loose wheel nut indicator. He is a true entrepreneur who originally trained as an industrial chemist. Mike identified a need in the commercial vehicle market for a device to help prevent wheel nuts loosening, leading to possible wheel loss and subsequent vehicle damage or worse still, loss of life through accidents. The first loose wheel nut indicator, Checkpoint®, was invented. Checkpoint Safety has opened up markets across the globe in partnership with international distributors and continues to strive on improving the safety, professionalism and road worthiness of vehicles throughout Europe, North America, South America, Australasia, Africa and beyond. Checkpoint has developed strongly since, and we now export all over the world, and employ people with great language skills (French, German, Italian, Spanish, Polish, Russian, Japanese, Portuguese, etc) so we can communicate and trade across all continents. Founder, owner and Managing Director of SilverDoor and Citybase Apartments, the largest independent serviced apartment agent in the world. Marcus is a Lancastrian, from Preston, who grew up in Ribchester and spent all fourteen of his schooling years in Blackburn. He has an MSc in Building Heritage and Conservation and has spent his entire career in construction and property related industries. He moved to London in 2000 and, having spotted a gap in the business travel market, set up SilverDoor. He lives in the Chiltern Hills of Buckinghamshire, is married to Angie and they have two sons. He’s cricket-mad. In May 2016, Marcus acquired Lancaster-based competitor, Citybase Apartments, and brought it into the SilverDoor group of companies. In autumn 2016, he formed their first overseas company with SilverDoor Asia based in Singapore. The combined serviced apartment agent group is multi-award winning and, in 2017, has sales forecast in the region of £75M. The group employs around 120 people across its three offices in London, Lancaster and Singapore. Marcus has family connections to Lancaster and the wider area. 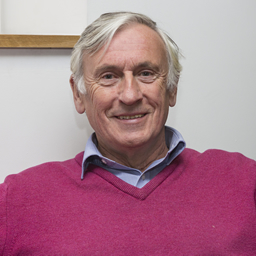 His father was the BDP architect behind the award-winning Bath Mill Housing Scheme in the 1970s, and his very first paid job, as a fifteen-year-old in 1986, was working for a firm of quantity surveyors on Phase 2 of Heysham Power Station. Marcus has committed to building and investing for the future of SilverDoor and Citybase Apartments within Lancaster city centre, and has a particular interest in supporting the Chamber to promote the creation of better office and infrastructure facilities for the commercial sector in the city. 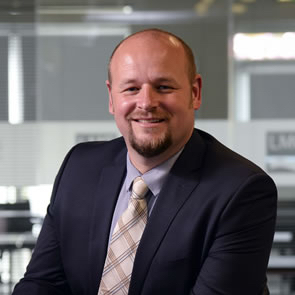 Wes joined Lancaster & Morecambe College in April 2017 as Principal and Chief Executive. He has over 20 years’ experience in education, with 11 years as a senior leader in both general and specialist further and higher education institutions across the north of England. 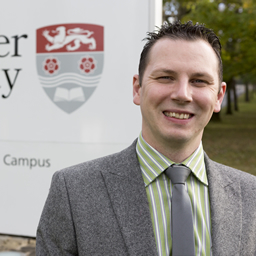 Following a successful period as Vice Principal and Acting Principal at Craven College (Skipton), Wes was appointed Campus Principal at Newton Rigg College, a specialist land-based college in Cumbria. During his time at Newton Rigg, Wes established the National Centre for the Uplands and led the resurgence of the College with significant growth in student numbers and apprenticeships, whilst re-establishing a renewed national reputation. Wes is currently Chair of The Lancashire Colleges. Previous roles have seen Wes lead and deliver education in many settings, from serving disparate rural populations in Cumbria, North Yorkshire and Northumberland to disadvantaged urban communities in areas of Newcastle, Middlesbrough, Leeds and Bradford. Prior to entering the education sector, Wes established and successfully ran his own business as a rural land management specialist, servicing the agricultural and forestry sectors. Wes remains a strong advocate for rural interests and lives on a hill farm near Lowgill - he hopes his new role as Chamber Director will ensure a strong voice for rural businesses in the area. Lancaster & Morecambe College serves communities across North Lancashire, South Cumbria and North Yorkshire with a broad vocational and technical education offer. The College recently received an employer satisfaction score of 95.8% which placed it in the top 5% of colleges in the country (FE Choices Employer Satisfaction Survey 2016). Susan is a Consultant and Practice Manager at Holdens Solicitors. Susan also supports individuals and SMEs with a range of organisational and people issues that ensure that early approaches minimise the risk in later legal processes. The advice also supports and builds on Business Development Strategies that may be in place or evolving. Susan’s early career in the commercial world paved the way to a 20-year career at Board level working as the HR and Organisational Development Director within a major research University and for 10 years as a non-executive Director in 2 inner city University Hospital Trusts. Susan has also spent many years as Trustee and later Chair of a national Charity, The Reader Organisation. Susan is now working in consultancy mode both within the Commercial, NHS, Care and Charitable Sectors. 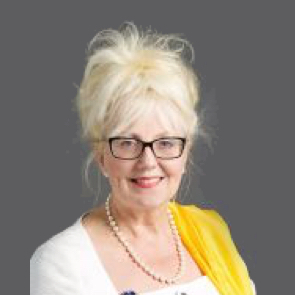 Susan has been Director and Chair of the Lancaster Business Improvement District (BID) since July 2017. Currently President of the Lancaster Morecambe and District Law Society.